Terra Hiker Toilet/Changing Room Tent is ideal for use in public places such as parks, pools, beaches, campsites, forests, mountain areas or national parks. Whether at home or while traveling, the Terra Hiker Changing Room Tent is an invaluable accessory. It has a covered roof for extra privacy while dressing, meantime, the zippered door makes entering and exiting easy. 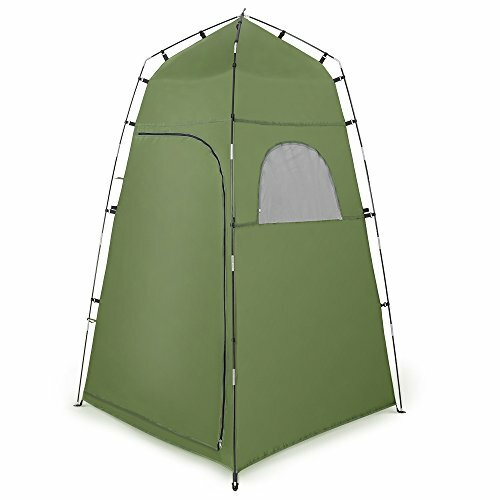 Thanks to the small zippered window, the tent features good ventilation. Moreover, it is easy to install and convenient to store with the included storage bag. We stand behind our product, meaning that you can easily return it within 12 months of purchase. If you ever have any issues with your Changing Room Tent, feel free to contact us immediately. If you have any questions about this product by Terra Hiker, contact us by completing and submitting the form below. If you are looking for a specif part number, please include it with your message.